Eileen Mueller - Dragon-tamer. Adventurer. Author. Please nominate Ezaara – Sir Julius Vogel Award. Sir Julius Vogel Awards are New Zealand’s fan-based science fiction & fantasy awards administered by the SFFANZ (Science Fiction & Fantasy Association of NZ). Anyone, anywhere in the world can nominate any fiction or film by a New Zealander. published in 2018. It would be my dream come true to have Ezaara win the award for Best Youth Novel, but that can’t happen unless we get Ezaara on the shortlist, which takes multiple nominations. Please, make my day! Actually, it would make my year! SJVs close in a 2 days, so please nominate Ezaara now. More info about SJV Awards here. Feel free to nominate any other work by a kiwi too. Feel free to email me with any questions, or to let me know when you’ve nominated Ezaara. I’d love to hear from you. Thank you. I am thrilled to announce that Ezaara and Dragon Hero, books 1 & 2 in my Riders of Fire series, have both been awarded a 2019 Storylines Notable Book Award in the young adult fiction category. Needless to say, I’m over the moon. Ezaara and her dragons are roaring! Ezaara and Dragon Hero are available on Amazon or from good New Zealand Bookstores. The NZ Booksellers’ listing is here. Other titles listed in the Young Adult category include Take Flight by JL Pawley (Eunoia), Legacy by Whiti Hereaka (Huia), Flight of the Fantail by Steph Matuku (Huia), Ash Arising by Mandy Hager (Penguin Random House), The Anger of Angels by Sheryl Jordan (Walker Book Australia), Catch Me When You Fall by Eileen Merriman (Penguin Random House) and The Rift by Rachael Craw (Walker Books Australia). The full list for the awards is here. The 2019 Storylines Children’s Literature Notable Book List comprises the highest quality New Zealand children’s’ books across four genres (published during 2018). The Notable Books List is compiled from more than 100 entries by expert panels of authors, teachers, librarians, academics and parents. The Storylines annual list began in 1999 and provides a useful reading and purchasing guide to families, schools and libraries, and to young readers. Storylines Children’s Literature Charitable Trust promotes awareness of the importance of reading and books for all children and young adults; ensures children and young adults in New Zealand have access to high quality literature; and supports the writers and illustrators of literature for children and young adults in New Zealand. I haven’t been active on my blog for a month because I’m writing Dragon Rift (book 3, Riders of Fire). Time and words here on my blog are words that aren’t happening in my new novel! However, I do have some cool news to share. I was recently interviewed on Monday Morning Indie, Connie Huddleston’s blog. Connie also reviewed Ezaara, which was very kind of her. In this interview, among other things, I reveal one of Kierion’s secrets. Kierion helped Roberto out in Ezaara, but has a much larger role to play in Dragon Rift. Find out a little more about him here. Stay tuned via my newsletter to find out how Kierion’s story unfolds in Dragon Rift. Connie has many good books reviewed on Monday Morning Indie, so pop over and have a look. Ezaara was also featured on Indie Shout Outs, a blog run by Alice de Sampaio Kalkuhl, which lists cool indie-published books. So hop over and see if there’s anything on her list that appeals to you. My readers are the best. 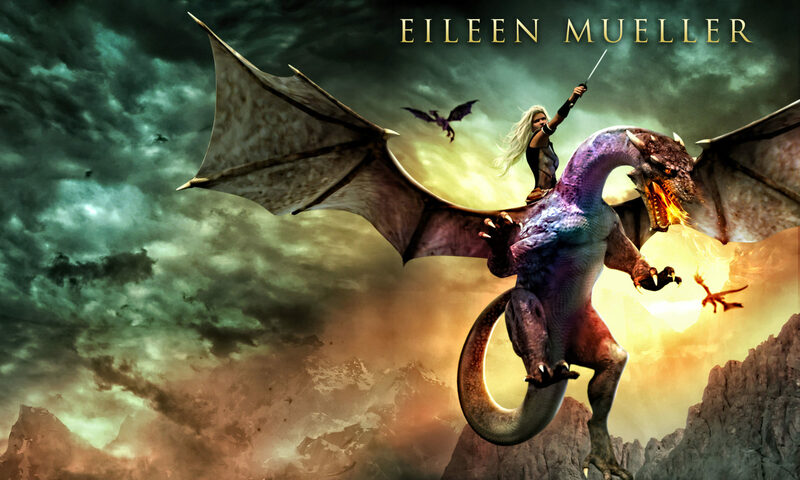 So many of you have written me encouraging notes, telling me how much you love Riders of Fire, how Ezaara was great, and Dragon Hero is even better, and that you can’t wait to read Dragon Rift. Some of you have asked whether I can just write faster and be finished with the series already. I’m going as fast as I can. And it’s an exciting journey! I’m hesitant to confirm a publication date until the book is with the editor. I was working part-time last year, so it’s hard to estimate how soon this will be ready, now that I’m writing full-time. Please be patient, and if you sign up for my newsletter and free books, you’ll be the first to hear (after my husband and kids)! My short story, One for the Money, has been published in Midnight Echo, issue 13, The Australian Horror Writers Magazine. Although not pure horror, One for the Money is a lot darker than my usual fiction. Midnight Echo also contains horror content, so if you like your fiction dark, you may enjoy this, otherwise, run screaming! Although the charismatic Simon Jones makes macabre dares, he pays big money, so, desperate, Tessa agrees to stay overnight in The Grotesquerie, his collection of creepy animal statues. Issue 13 is guest edited by Paul Mannering, with co-editors Helen Stubbs and Isobel Blackthorn, through the AHWA Mentorship Program. The issue also includes the winning stories from the AHWA Short and Flash Fiction competition 2017 by Chrisi Reardon and Xanthe Knox. Warning: Although my story is a dark fantasy piece (quite dark – much darker than my usual fiction) Midnight Echo also contains horror content. Be assured, I always write an upbeat ending, even if my story is dark. You’ll love these free dragon books. There are dragons galore! Dragon-shifters, dragon riders, sea dragons, a bronze dragon and even dragon sagas! Sword and sorcery, epic high fantasy and much more. All books are free, or free on Kindle Unlimited, or only 99 cents. But be quick, this offer ends on 15 January! If you love dragons, you’ll be in reading paradise! I hope you enjoy these stories. I have them all loaded on my e-reader for summer reading! But whatever the weather, you’ll be set to go – on dragonback, of course! Get your free dragon books now! Eddie Baird must capture the legendary Tatzelwurm for his grandfather’s cryptid sanctuary. But two things could stop him. Gabi, the remarkable Swiss girl who has befriended the acid-spitting creature. Read FREE online. Part 1 and Part 2 Warning: This story gets quite gets dark in places. Not for kids or the faint-hearted. If you enjoy The Taztzelwurm, please ‘like’ to shoot the story up the lists in the Tapas community. Thank you. The Tatzelwurm is dedicated to Gabi Bachofen. A big shout out to Danny Richards and his cryptid series, Monstrous – Cryptozoological Tales, part of Adrenaline Shots comics. I’m proud to join the line up of great authors being published in this venue. I was recently commissioned to write short story about a legendary creature for the Monstrous online anthology. Having lived in Switzerland, guess what I chose? Yes, there is a legendary alpine dragon, the Tatzelwurm. The Tatzelwurm is a legendary creature with a cat-like head, two clawed front limbs and a serpentine body. It was first reported in the Swiss Alps in 1779 by Hans Fuchs, who saw two of them and died of a heat attack shortly after describing the beasts. Many more Swiss have seen it since. However, there have been no confirmed modern sightings, leading to conjecture that the animal is extinct or never existed. See an interesting Tatzelwurm video here. Note: I took a few liberties, so my Tatzelwurm may have wings! Although Tatzelwurm sightings were reported in various places in Switzerland and Austria, I decided to set my story on the Speer, an alp in St Gallen. Speer – from the Ebnat-Kappel side. The story is set in the alpine meadows just beyond the grass, but in summer when there’s no snow around. When I first travelled to Switzerland, my friends Gabi, Marco and Polo took me up the Speer. We drove up from Ebnat-Kappel, and then walked part of the way up to have goat’s cheese and fine bread with Ferdi, the Alper (the man who took care of the cows on the alp for summer). On another ocassion, Gabi, her sister, Sandra, and I climbed from the other side of the alp, up a treacherous slope. Speer, from the side I climbed up. We scaled the face on the left end of the alp. Someone climbing the Speer – not me, although I did, back when I lived in Switzerland! Nowadays people wear helmets and take climbing gear. Back then, we scaled the cliff in shorts and T-shirts, with only a steel cable in hand, and didn’t dare look down the dizzying drop until we got to the top! The final scene of the story is set on the steep slope of the sunlit left end. Thanks again to Danny Richards for giving me an opportunity to relive a fantastic phase of my life and venture into the Swiss Alps again, via this story. I hope you enjoy The Tatzelwurm. Please like the post on Tapas (log in via Facebook to like). Please be aware that although the overall tone of this story is quite upbeat, there is a dark scene near the end. Be warned that I do like happy endings, though. If you’d like to read all the episodes on Monstrous – Cryptozoological Tales, a couple of my favourites are Lee Murray’s Baird’s Legacy and A J Ponder’s The Forgotten World. The others are great too, but some are written by horror writers, so read at your own risk! (If you love horror, you’ll be in your element). You can access them all from the left sidebar, near my story. Use the slider to select a story. Happy reading. Christmas flew past on cute dragon’s wings! My kids got me a cute dragon for Christmas. (Those of you who’ve been around my site since 2013, will recognize my old web banner in the background. Yep, I need to update my screen saver!) They deliberately chose a multi-coloured cute dragon so it would look like Zaarusha! Although I do think she’s a bit more fierce. The end of 2018 was especially frantic, with mad a race to meet deadlines for several stories. It’s been a great year. The Riders of Fire series has been racing off the shelves in our local bookstores and also off the Amazon shelves worldwide. The page reads on Kindle Unlimited have been soaring. Thank you for your support. It’s fabulous to hear feedback from readers around the world who have read Ezaara and Dragon Hero and are keen to read book 3, Dragon Rift ! Well, I had a great slide, with a few good friends, singing karaoke until 3am! As well as writing, I’m passionate about singing and about my friendships. I’m lucky to have strong network of friends who have helped me get through many crises and difficult times. I’m a bit of a workaholic (many writers are), but this year, I hope to spend some time with my friends and family, having fun — when I’m not locked in my office, writing my heart out. And yes, this was a hazardous evening. Just getting this photo taken, I was nearly impaled in the nostril by a unicorn horn several times! I’ve committed to writing many Riders of Fire books this year. I’ve also had many other ideas — if only I could type as fast as I can think. If you haven’t read Riders of Fire yet, you can start with my free books: Bronze Dragon and Silver Dragon. Bronze Dragon is available on Amazon, Kobo, Barnes & Noble or Smashwords. Silver Dragon is only available on my website, here and will be ready in a few days! So sign up to get this exclusive prequel novelette. I hope you have a great 2019 with lots of adventures and happiness. Actually, you don’t have to do the hard work of imagining them yourself. Authors that have done that for you — by creating amazing worlds that you can explore. Imagine that! With 49 free books on offer and a chance to win a $25 gift card, you’re bound to find something you love to read over Christmas — military thriller, sci-fi, fantasy, dragon riders, paranormal, sword, sorcery & archery. There’s even a unicorn lurking on one of the covers in the background, and a zombie staring out of another. Three New Zealand authors feature in this promotion, too. So, if you like your kiwi military thrillers gritty and dark, check out Into The Darkness by Lee Murray. For humorous sword and sorcery, try The Secret Child by A.J. Ponder. Also check out Teyla Branton’s The Change, a paranormal urban fantasy with an intriguing cover. And plenty more! Click here or click the image below to try your free books and WIN, because if you receive a gift card or not, it’s still a WIN with your e-reader full of books for the holiday break. Thank you for enjoying Riders of Fire. Have you been waiting for my free Riders of Fire story, Silver Dragon? I have! I’m also writing Bronze Dragon, another free Riders of Fire story. It’s exciting working on these two stories, and especially great that I can give them away. click here to give me your suggestions. I’d love to hear them. If your suggested names are chosen, I’ll thank you in the acknowledgements section of the book! Name a Character in Bronze Dragon. Only hours to go… be quick! We had a great Riders of Fire launch today, with archery, sword fighting, dragon crafts, a treasure hunt and medieval costumes. It was wonderful to see everyone having fun and really cool to share Dragons’ Realm with them. Giant John led us in archery. The target? … and archers small, took shots at him. Luckily his body armour didn’t get pierced! And the winner of the archery contest? Well, here’s why Isaac did so well. Arrow nocked, sighted… and fired… … with great trajectory and even better facial expression! Our local journalist came long to interview the teens who’d read the book! There were dragonets… …and a definite cosplay winner! Giant John just couldn’t resist the challenge. The sword fighting was intense … So was the book signing! The treasure hunt was made possible courtesy of Ava Fairhall… …who created an oversized map of Dragons’ Realm in brilliant colour… …which even teens wanted for their bedroom walls! (I’ll post about the map-making journey soon!) Ava hid 5 tiny, -well-disguised treasure chests on the map… which kept everyone busy. The winner had a keen eye and a fast pen, skills needed by every dragon rider! More winners… Kids made their own dragon wings and flappable dragons… …even big kids! I mean, who doesn’t want to be a dragon, right? We had a blast. The whole community pulled together to make this happen—from my fantastic cover artist, Christian, in the Philippines, to my family, the archers and human target, our sword fighters, map maker, editors, critique partners and caterer! A big THANK YOU to everyone who made this launch possible. A special thank you to my business partner, A.J. Ponder, my teen beta readers Ash, Lisa and Denika, and all of my readers and reviewers! Without you, none of this would be possible. To all of my readers: enjoy your adventures with Riders of Fire! Ezaara & Dragon Hero, with Dragon Rift & Dragon Strike in 2019. Don’t miss out. Join my reader’s group here, for my free Riders of Fire stories, Silver Dragon & Bronze Dragon, coming soon. Thanks again for being part of this wonderful, supportive community.